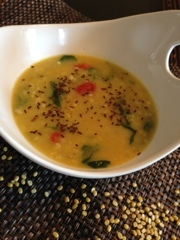 Pressure cook the washed and rinsed lentils in 2 cups of water and 1 tsp of turmeric powder for 10-12 minutes till almost mushy. 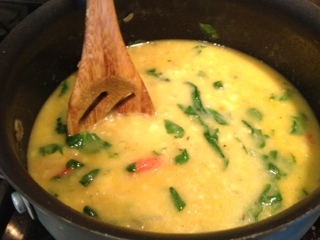 If using a stock pot, use 4 cups of water and cook for 20-25 minutes covered on medium heat. In a stockpot, heat up 2 Tbsp of Olive oil. Add the garlic, ginger and onions and cook for 6-8 minutes till the onions turn pink. 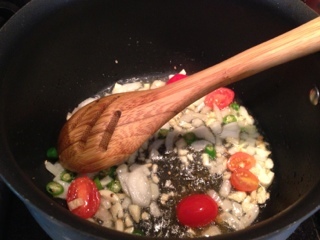 Add the tomatoes and green chillies if using. Cook for another 2-3 minutes. 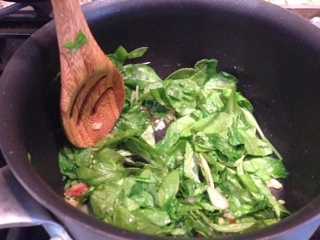 Add the spinach and toss the mixture. Cook till the spinach starts to wilt. 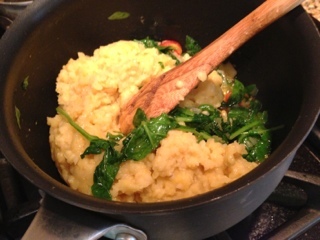 Add the daal (lentils) and the spices. 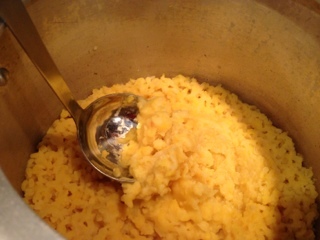 Add a cup of water and slowly fold the mixture removing any lumps. Add more water for desired consistency. Add the remaining turmeric powder and spices. Check for salt. Bring the mixture to a rolling boil. 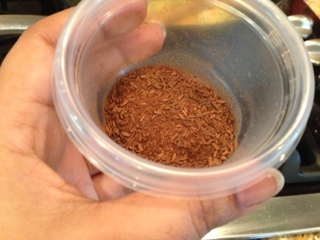 Serve hot or warm with some fresh cilantro, squeeze of lemon or some roasted cumin seeds powder. Destination eating: Restaurant review: "Husk"